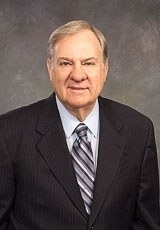 Frederick P. Erickson was admitted to practice in Illinois in 1966 and is a founding member of the firm. He is a member of the Illinois State Bar Association, Decatur Bar Association and is a Fellow in the American College of Trial Lawyers. He is a graduate of North Park College and Northwestern University School of Law. He primarily practiced in the areas of family law, criminal law and personal injury.